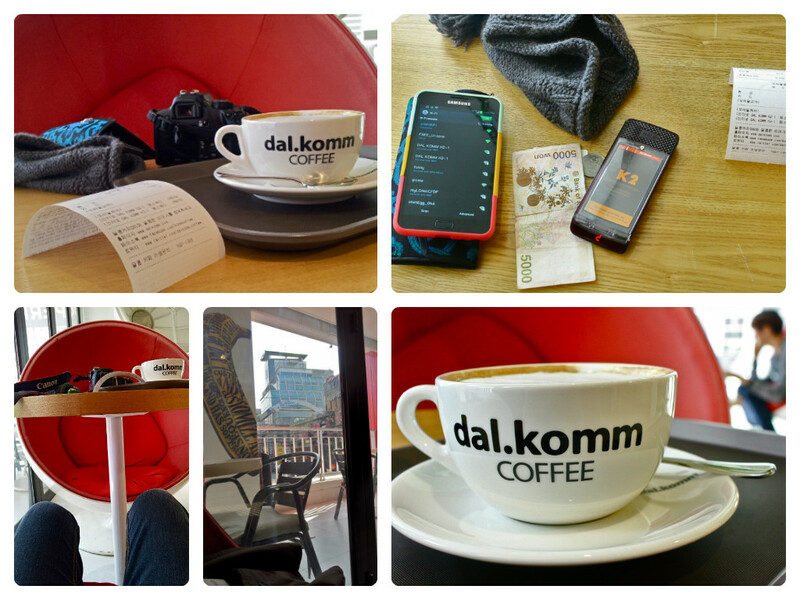 [Seoul] ~ A Sunday to Remember | I am no travel planner. 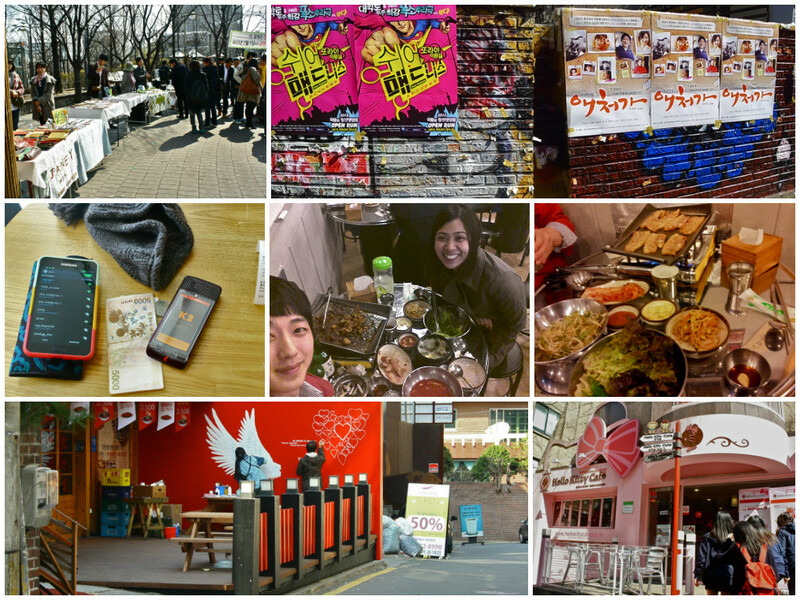 My third day in Seoul was strange as it one of most memorable though unstructured – essentially a “bahala na” (whatever will be, will be) – day. On that day, I had limited time in the morning as I was supposed to meet a friend in the afternoon though details on how, where and when were not set. Shopping : Fail. 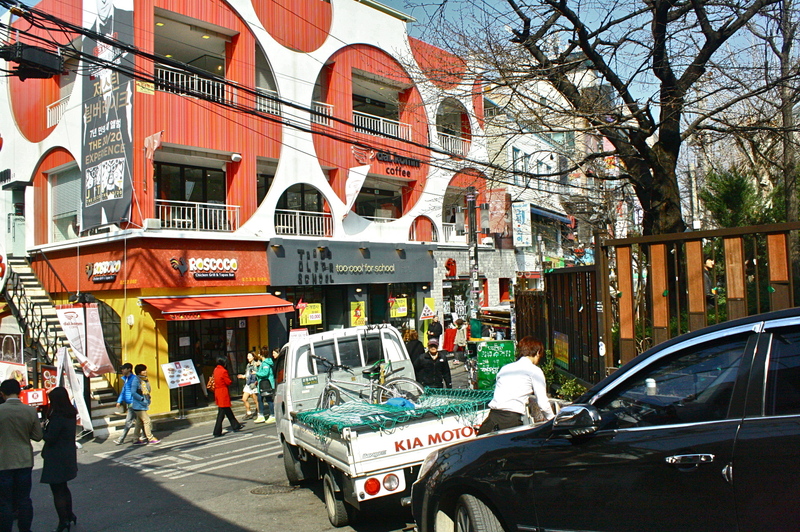 In the morning, I went back to Lotte Mart to do the shopping I postponed the day before but when I came there, it was closed – for some strange reason. Then I went to Myeongdong to still look for the Infinite Lightstick, got confused with the exit and decided to just go back to the guesthouse. It was a good thing that I asked Brandon, owner of the guesthouse I am staying whether there is a supermarket nearby and luckily, there was one. It was a simple turn left, turn left on every first road and voila! I was at a small supermarket right across the main road. My original intent there was to search for Binch as that was an alternative to the lightstick that I could not find. Unfortunately, there was no Binch in that supermarket. Still, I looked around and ended up buying some chocolates, coffee and biscuits I thought I could give as “pasalubong” / take home to my family. I bought only a few though because I still could not estimate how much I could fit in my luggage. So after roughly 45 minutes of going back and forth the supermarket, I went back to the guesthouse and saw some interesting artwork along the way. 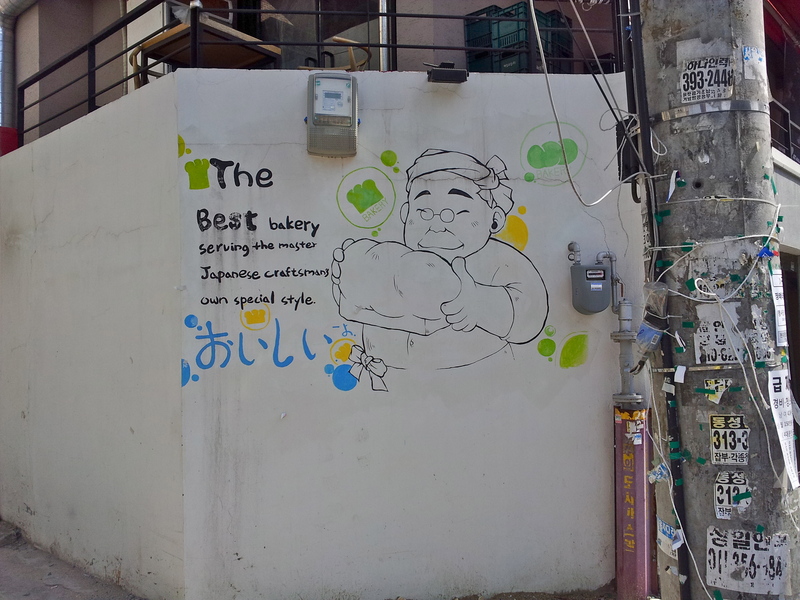 Another cute wall artwork in front of our guesthouse. Hmm it was weird though because I could not find the bakery anywhere nearby. This was just painted on the wall. It was just cute funny how they said that the “unique baristas INSISTING the best coffee”. Quite demanding, huh? It was past lunch already when I arrived at the guesthouse but I still have not received any text from my friend on whether he has arrived in Seoul. I had to wait for his text because we were not able to settle where we would meet and what time. 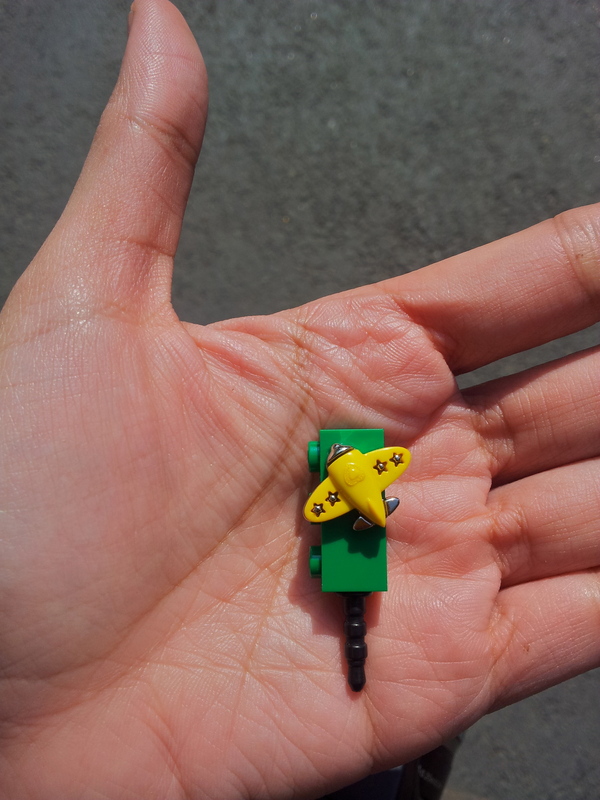 I realized then the importance of having mobile internet when abroad so I could be less dependent on wifi and be connected even if on the move. 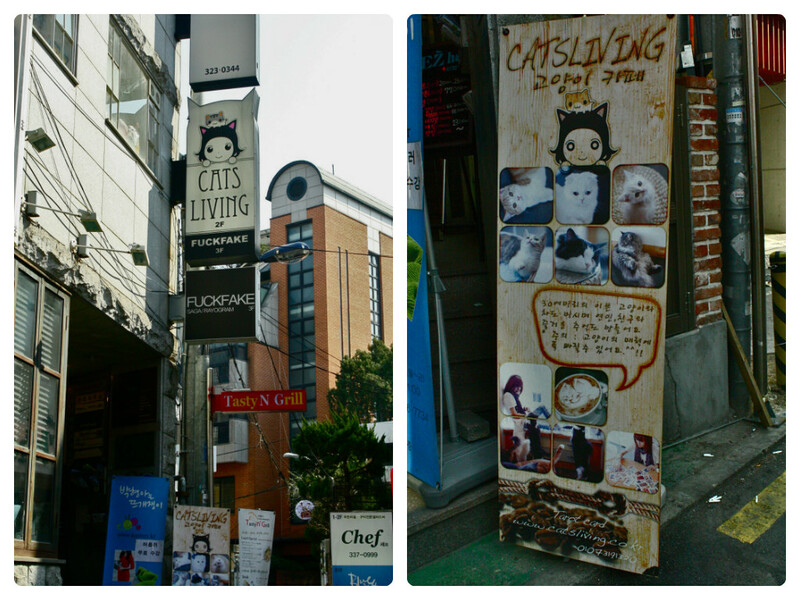 But anyway, I was feeling restless already so I decided to stroll again in the Hongdae area. I was again like – “bahala na. We’ll find a way”. 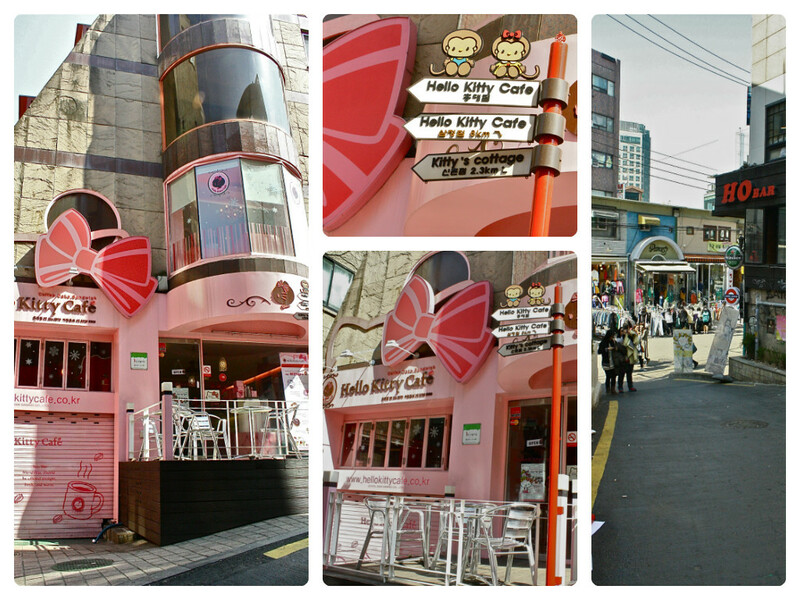 Another surprise was when I finally found Hello Kitty cafe that I was searching for on Day 1. 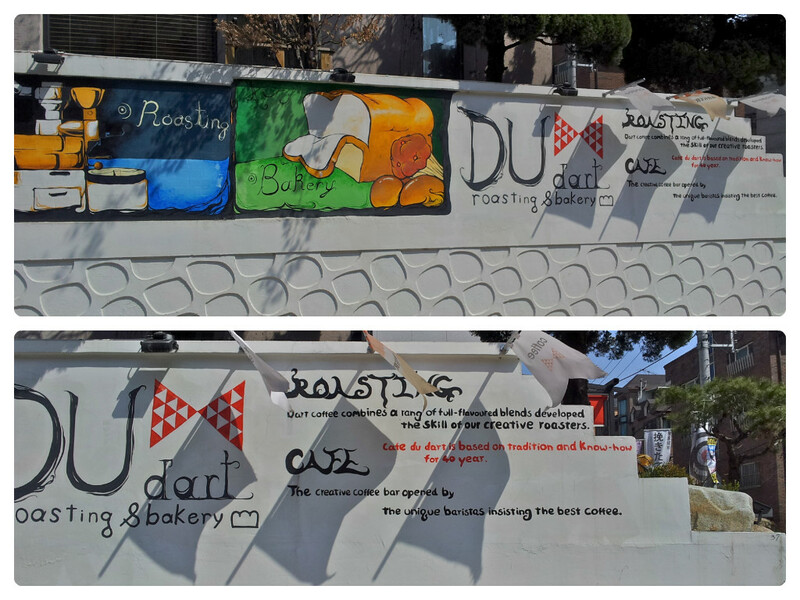 Saw this on my way to Hongdae. 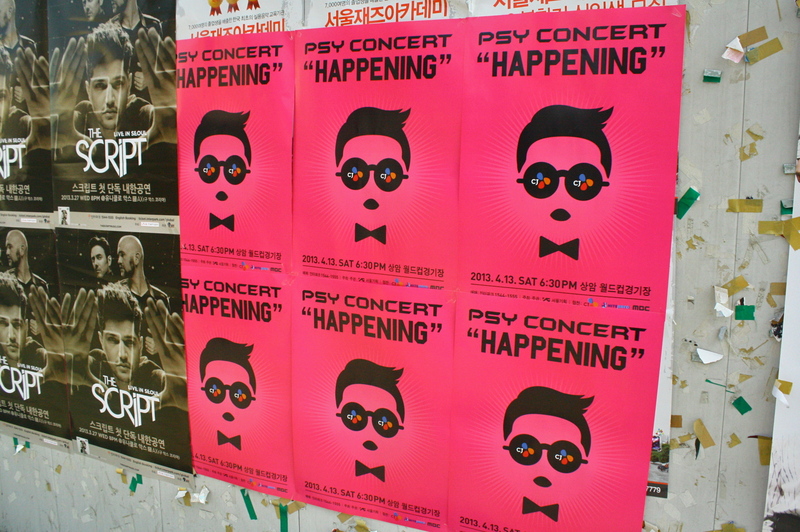 Mr Oppa Gangnam Style (Hmm, I realized just now why didn’t I go to Gangnam? Haha. Just because). Oh there you are, Hello Kitty cafe! Had to take a picture of the alley because it is not easy to spot. 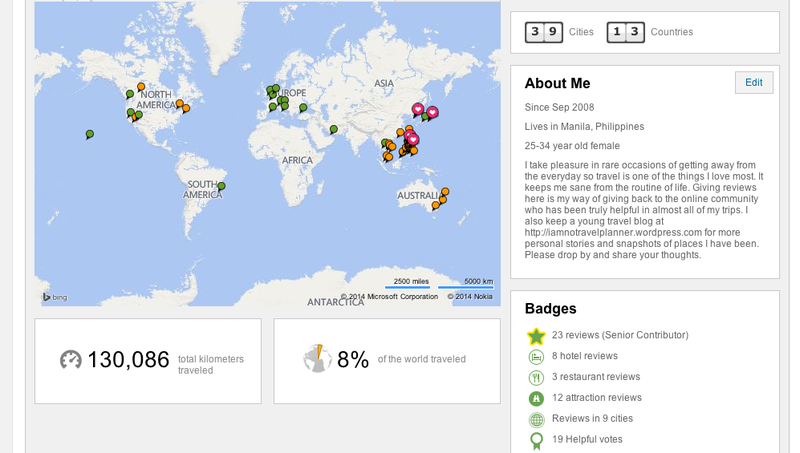 Just in case I decide to come back. 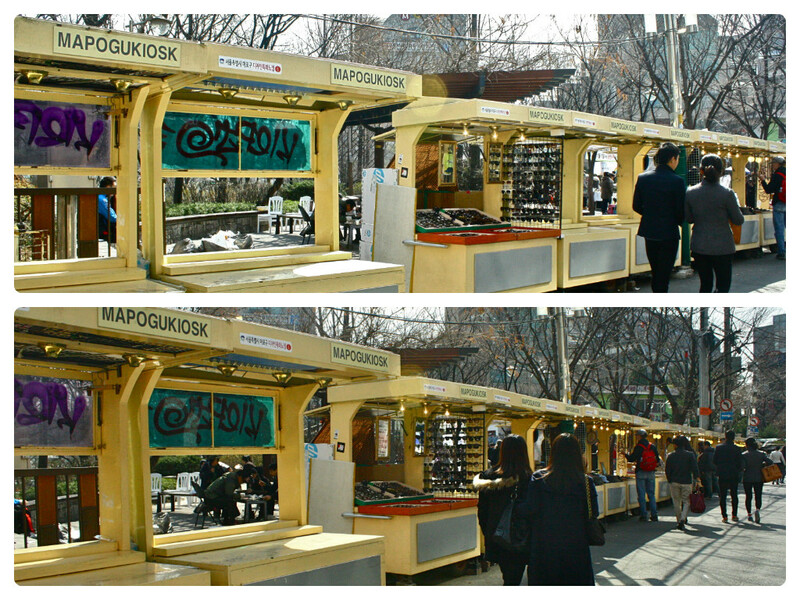 Hope Market with unique finds from cellphone charms to jewelry to notebooks to on-the-spot paintings. Immediately saw this from that stall and thought it was perfect! And very cute too. And then I walked some more. 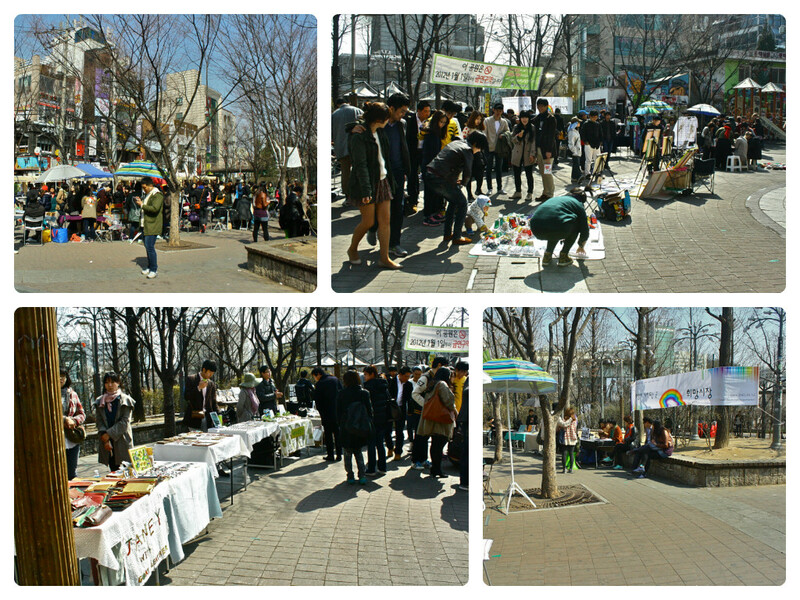 I noticed that day how amazing Hongdae is! The first time I did my walk there, I thought I have been to every alley but this area never fails to surprise me. More interesting graffiti. 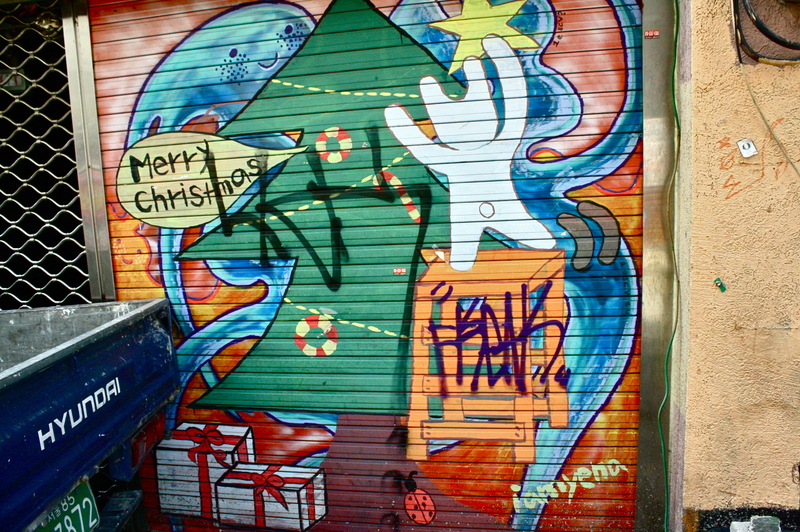 More street art. I love the kissing monster couple. Raaaar. Whoa. I don’t remember how I did this but this is kind of successful. Hmm this one, I think, failed. Cool store name, “Too Cool for School”! 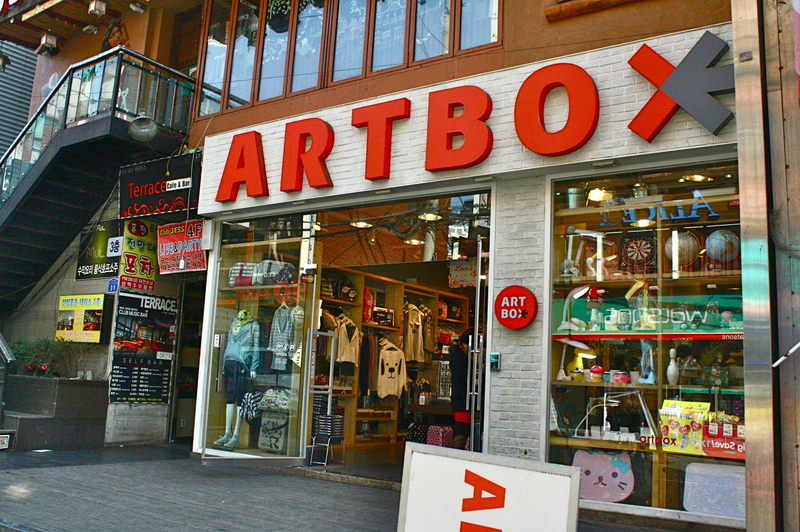 Just came across this store where they sell cute stationary etc stuff. I am pretty sure there are lots of these in Manila also but I could not resist, I still bought notebooks! This – a lovely view. Art in action. It was about 3PM when I decided to go sit down somewhere. 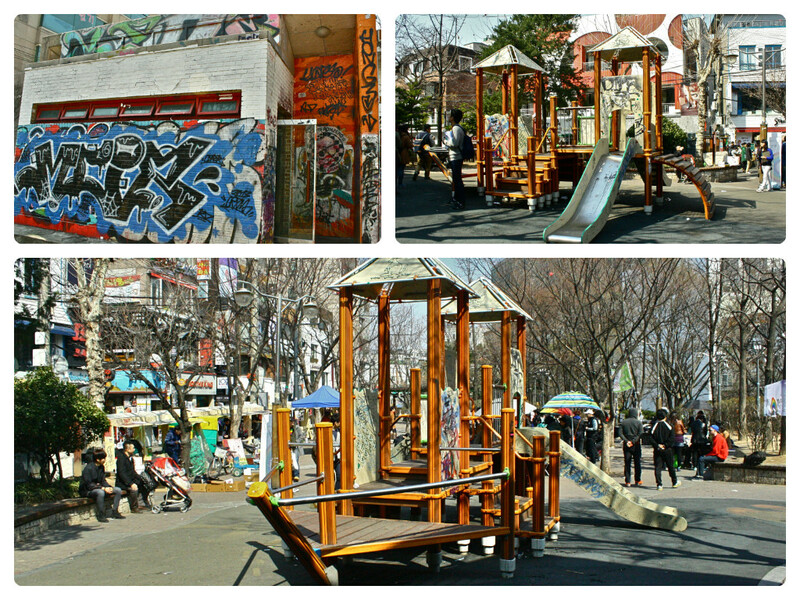 Dal.Komm seemed quirky on the outside and it was just right there in front of the playground so I decided to give it a try. I needed wifi so I can contact my friend but it was total gamble because how could I know, right? Thank goodness they do, but it was crappy. As soon as I settled down there, messages from my friend kept on coming – that he fell asleep and just woke up! For a moment, I was really sad because I thought there was no way we could still see each other. 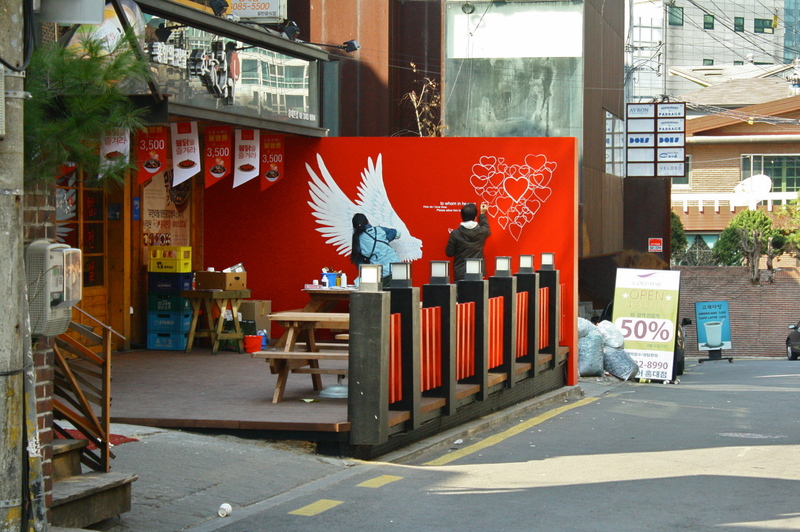 There was this moment of panic I think because we were texting about alternative and seemingly vague plans on how to meet up until he decided that he would just drop by Seoul, we would have dinner then he would leave for his home after because he had an early appointment the morning after. Whoa. He was busy. 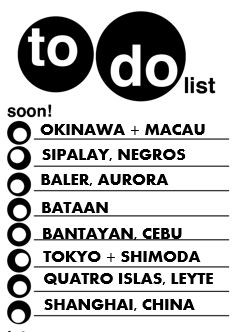 It was less than an hour of coordination and finally, we were able to figure out how to meet up. There was again some sort of glitch because I was confused with the station where we would meet. He kept on saying it was in Sin Lim but I could not find it in the map. Later on, I realized that in Hangul, it was 신림, hence Sin Lim when Romanized but in the English version on the map, it is Sillim. But anyway, despite everything, we were ready for dinner at around 15 before 7. 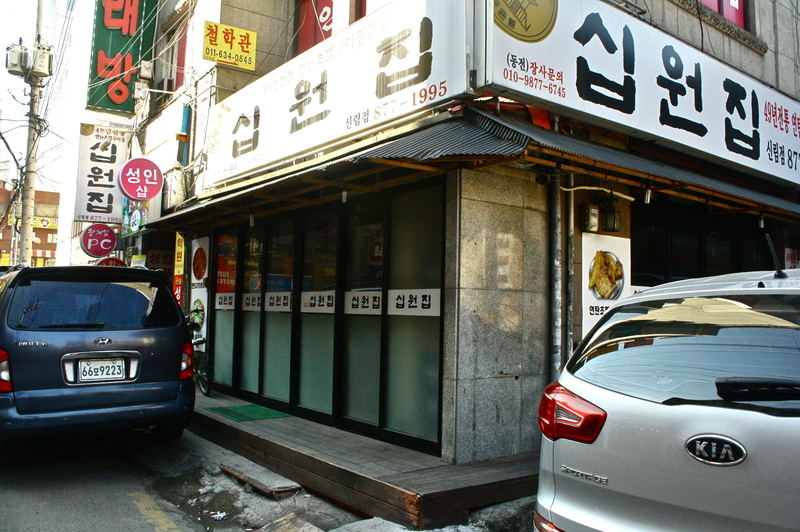 The samgyeopsal place in Sillim. It was full when we arrived so we had to wait outside for a few minutes. I have known this friend Ryan when he went to Manila six years ago to study in an aviation school. We were dormmates and became close friends. 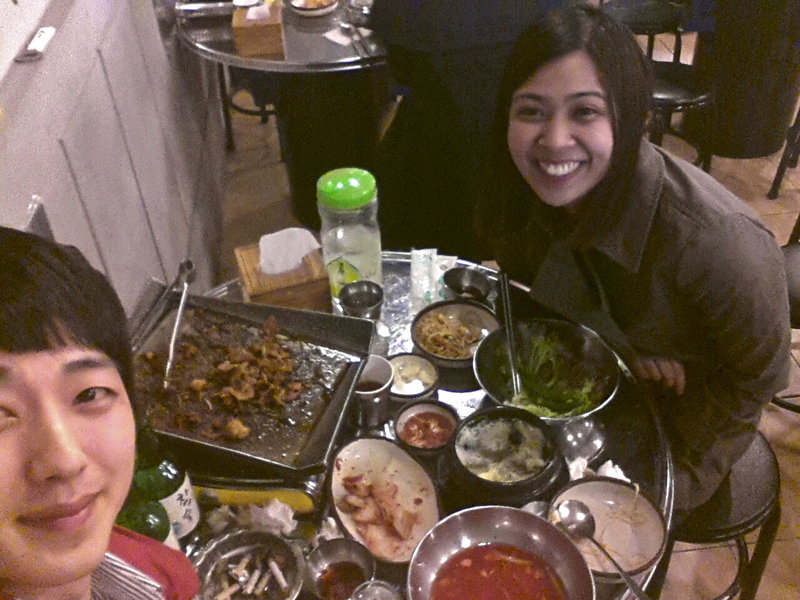 We also met when we I first went to Seoul two years ago but that was for work so we also barely had time to talk. 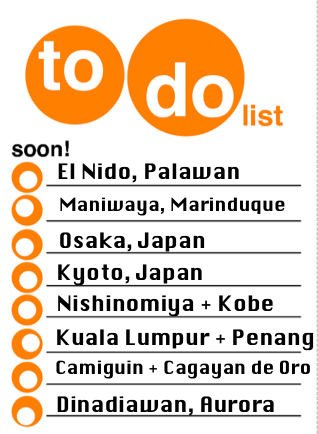 Now, fast forward to 2013 and our catch-up time was again limited! So we just had to make sure that those few hours together was worth it. We just talked and talked about anything that I didn’t even realize that we were eating a lot. 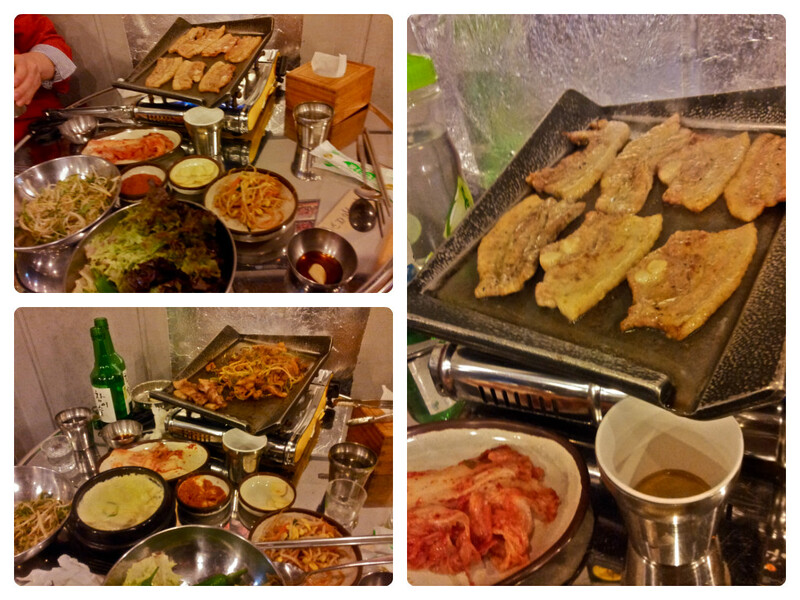 We had a round of samgyeopsal and two of spicy bulgogi, each with a bottle of soju. As in old days, there were some funny moments. Like when he poured soju for me and I used both hands just like I see in dramas. It turns out you only do that to elders but you use one hand only when a friend is pouring soju for you. It was learning Korean tradition firsthand – like even how they usually toast before drinking your shot but you are not required to drink it if you do not want to. He also taught me to eat samgyeopsal in “one kill” meaning in one bite as Koreans do. I was having a hard time at first so he was asking me whether I was shy and told me that I should not be because Koreans eat like that. There was also a time when he was teaching me how to properly use the chopsticks. He must have noticed how I was having a hard time picking my food. Samgyeopsal and spicy bulgogi. Both very yummy. And of course, we drank soju! He had to leave at around half past 9 so we just finished whatever we were eating and drinking and said our goodbyes. 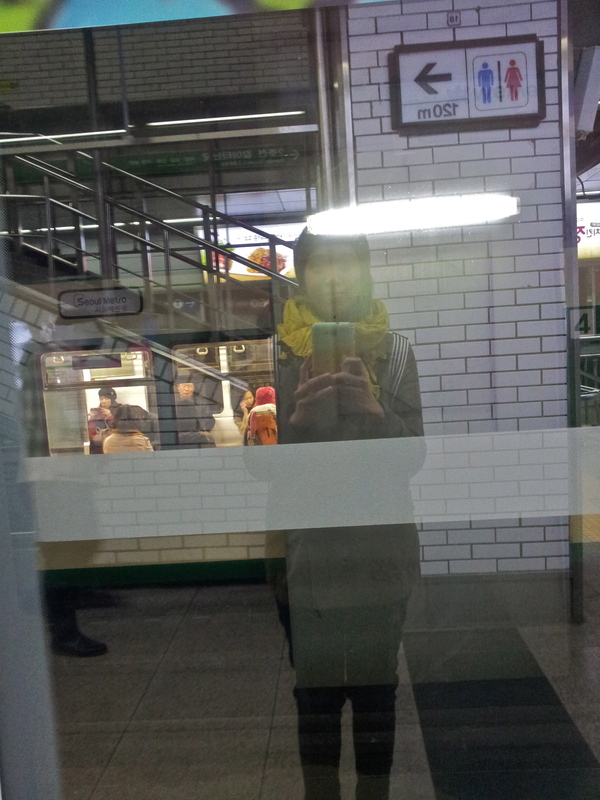 I had to take the subway back to Hongik University station while he went some other way to catch a bus to his hometown. It was a quick but very chilly walk back to Sillim station. There was a moment when I brought out my scarf then he tied it for me. Whoa, he must be so used to tying scarves! I remember that it usually takes some time for me to wrap one nicely but he did it in seconds! I was so amazed I had to take a picture of it while waiting for the train. That train ride was memorable because maybe the alcohol in my system was making me extra brave that unlike in previous rides, I was not looking at my map. I just trusted my instinct that I would know when my station would be near. It turns out I can be trusted (haha!) and also fortunate – because I did not fall asleep. I have this bad habit of craving for food after drinking so on my way home, I dropped by Mini Stop to buy a burger. And I do not even remember whether I heated it. Funny. 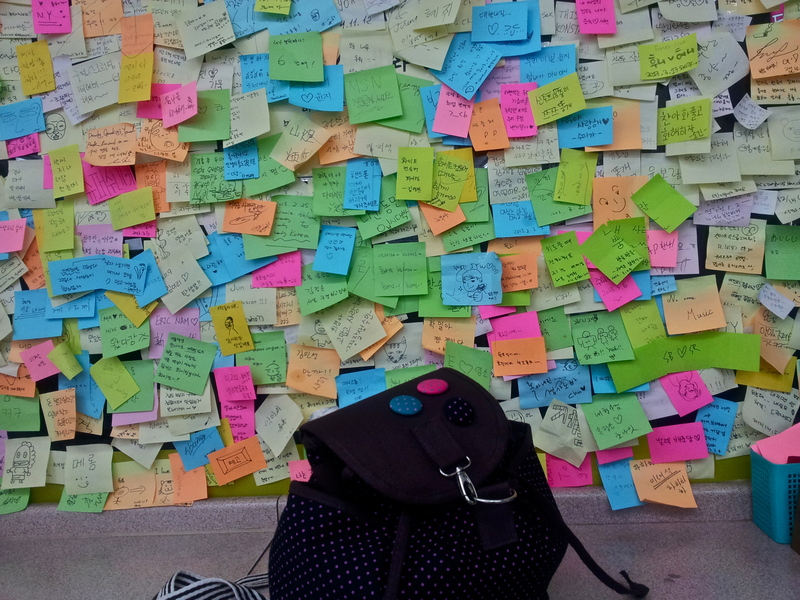 Found this wall of memos at a Ministop where I bought my tipsy food. I went home safely and even remembered that my roommates were still out on their Super Junior concert. I just called Ryan to ask whether he was able to ride the bus then I remember sleeping removing only my coat and wearing my bubble jacket. I was surprised when I woke up the following day that I actually changed clothes! Haha. Memory lapses. And another surprise, I had no headache unlike when I drink soju in Manila. I just said to self – maybe, yesterday was just great. 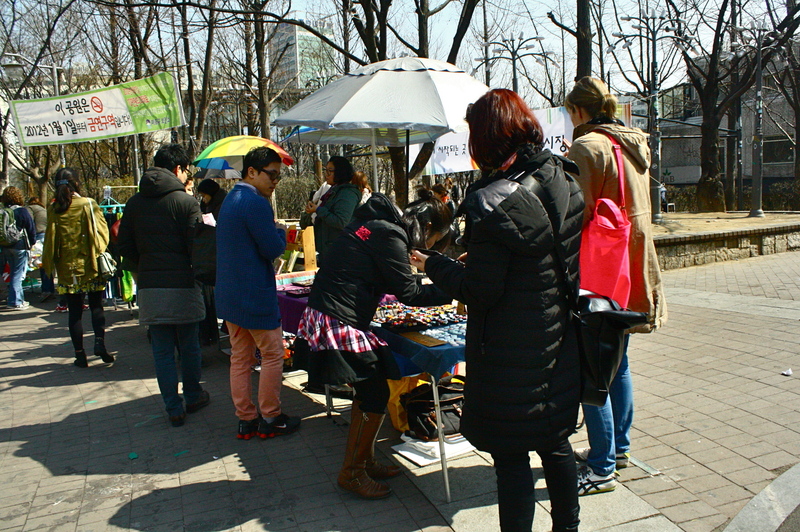 How to go to Sillim Station: It is in the same line (Line 2, Green) as Hongik University. There are many stations in between so entire ride should take about 20 minutes. And ah, a realization while ‘tipsy riding’ the train, you can see the subway line color on the floor. I remember looking at it to make sure I hopped on the right one. May be a helpful tip if you rely on colors to remember, or if you are a tipsy person doubting yourself whether you rode the right line. 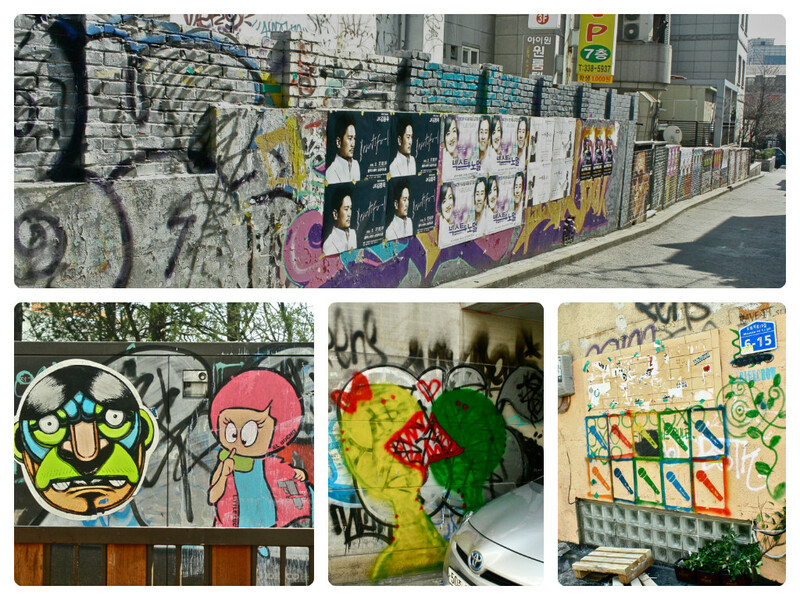 Pingback: [Seoul] – Revisits at Hongdae and Myeongdong | I am no travel planner.